A set of miniature weapons and blacksmith's tools are a traditional part of many shaman's equipment, especially with Buryat and many Mongolian shamans. The tools represent the blacksmith spirit Damjin Dorlig, who makes and empowers all the weapons and armour of a shaman and the spirits of thse small tools aid the shaman in their work as the shaman can call upon them while they are in trance. Items vary, sometimes swords and shields, keys to locks, hammers, saws, bows and arrows, axes, smoothing irons, metal cutters, boats, ladders, minuture horse equipment such as stirups and mouth bits, and other items. Here is a film of a Buryat shaman talking about the tools on his bardag blessing wand. This Shaman's blacksmith tool set was hand made specifically for 3Worlds by a Buryat shamanic blacksmith in Southern Siberia. Bronze tools are often favoured over iron sets by udigan - women shamans. Shamans from Siberia generally wear some sort of fringed ritual mask. This is to hide their eyes from ordinary people when spirits take them over, and also to act as a screen - an 'eye curtain' - in order to help them go into trance. This is a beautifully made, traditional Mongolian shaman's facemask, made of black brocade, with a moon and sun, and ears, eyes, mouth and nose - all made up of cowerie shells and pearls. It has ties on each side so it can be fixed around the head and a fringe which hangs over your own face to obscure your vision. 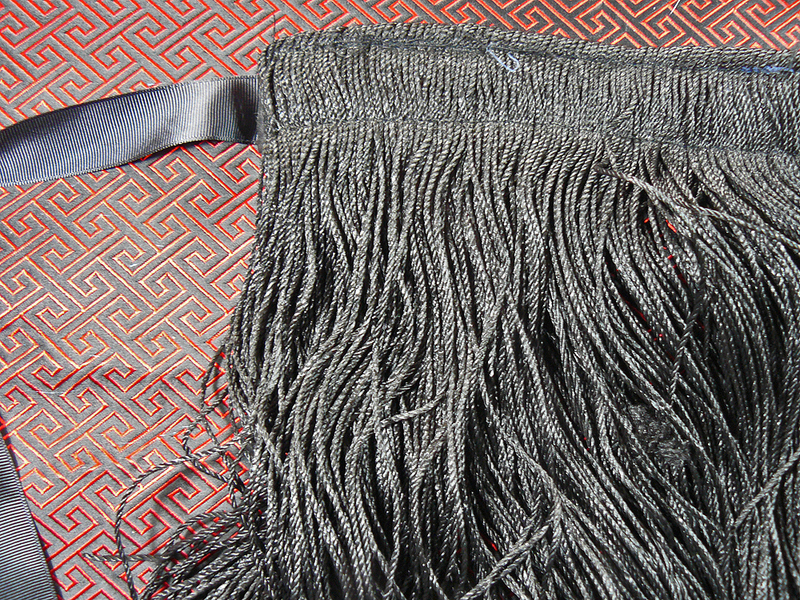 At the back of the mask are a series of pockets designed to have the quills of feathers pushed into them. Normally these feathers are from the black vulture, but eagle, hawk or owl feathers are also used according to the instructions of the shaman's spirits. The mask does not come with feathers. 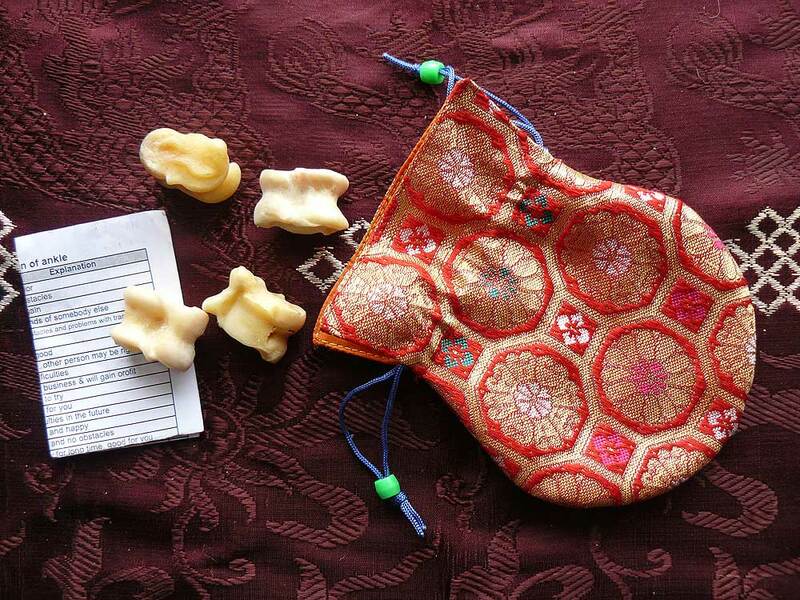 This is a beautifully made, simple traditional Mongolian shaman's facemask. 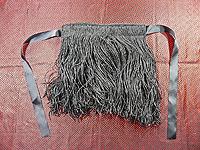 It has ties on each side so it can be fixed around the head and a fringe which hangs over your own face to obscure your vision. This is a simple facemask which could be futher decorated - by adding fabric, feathers, beads and embroidered eyes etc - if you so wished. 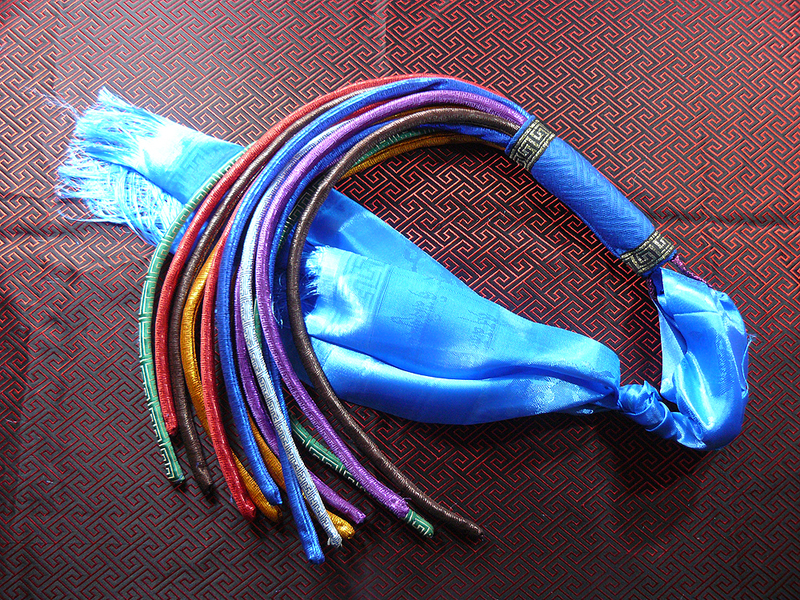 These are hand made traditional shaman's snakes from Mongolia, meant to be attached to the back of shaman's coats. They are made of black material with a head with glass bead eyes. Normally there would be many of these or similar snakes fixed to the back of the coat. 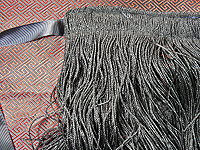 When being fixed to the coat on no account are they to be stitched to the coat directly. To stick a needle into the snake is considered very bad and should never be done as it is said it will annoy the snake spirit which will seek revenge on you. Instead you stitched the snake by making a loop or series of loops which holds the snake against the coat and stops it falling off. Many shamans have swords or knives as part of their equipment. 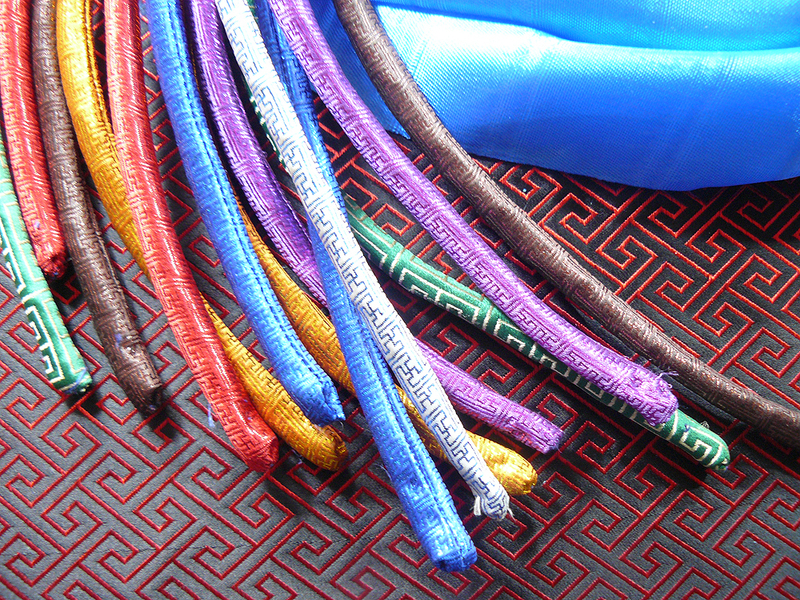 They are used as wepons to threaten and defend them against harmful spirits, used to stir medicine or help keep burning offerings in place. Often such swords are old ones, some ancient, because such objects have an ancestral quality to them. This knife is made of bronze. It is an ancient design, but is a reproduction. It makes a perfect short 'shaman's sword'. A small shaman's ritual weapon or tool in the shape of an arrow or spear. A hand forged iron blade set into a wooden handle. 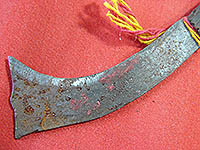 A small shaman's ritual weapon or tool in the shape of an machette. A hand forged iron blade set into a wooden handle. 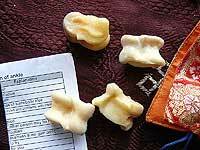 This is a set of four Mongolian divinations bones made from the knuckle bones of sheep. 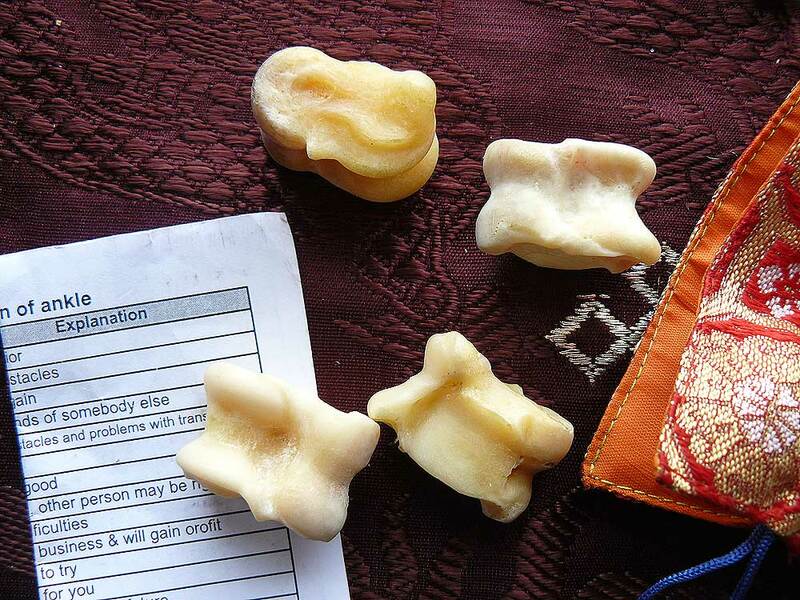 They are used by Mongolian shamans, and are also used to play popular games and for fortune telling by the general population. A good description of how to use them for shamanic work can be found in the book 'Riding Windhorses' by the late Mongolian/American shaman Sarangerel. They are in a brocade bag to keep them safe and also come complete with a set of meanings in both English and Mongolian. They make a beautiful set and you can easily add them to your shamanic practice if you wish by reading Sarangerel's book. 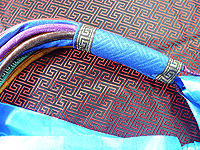 Mongolian shaman's snake whip. The snakes represent the water spirits, and the rainbow nature of the whip is used to drive and sweep away unhelpful energies around people, and thus help with their healing. 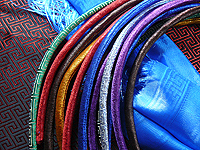 They are made of brocadeset into a blue brocade end part which is dressed. Ritual spoons are used by many shamans and others to make offerings of various substances. 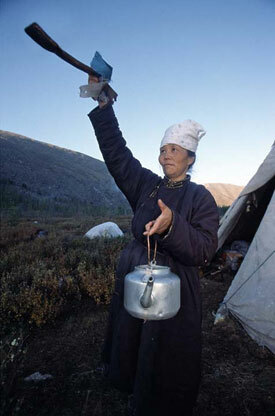 They are used by Mongolian, Tuvan and Siberian shamans to offer milk to the heavens. These spoons are generally made of wood, and often divided into 9 small compartments. They are an important part of a shaman's tool box, but they are also used by non-shamans who traditionally greet each day by flicking milk to the sky powers. Metal spoons may be used in the Tibetan Buddhist tSog ritual, a ritual meal given to the local land spirits, guardians and protectors and the Buddhas. Some metal spoons are also used to pour oil onto fires as a sacred offering to the fire spirit. These are recently made, Siberian shaman's carved wooden ritual offering spoon. Spoons like this - often divided into 9 small compartments - are designed to offer milk (or at times vodka) the sky spirits of the upperworld. They are an important part of a shaman's tool box, but they are also used by non-shamans who traditionally greet each day by flicking milk to the sky powers. Spoons like this are designed to offer milk (or at times vodka) the sky spirits of the upperworld. They are an important part of a shaman's tool box, but they are also used by non-shamans who traditionally greet each day by flicking milk to the sky powers. A nice old ritual white metal tSog spoon (probably silver) with good patina, It has a five real turquise stones set into the centre of it. It could be used as sTog spoons or as ritual spoon for shamanic use. A ritual white metal tSog spoon, used for ritual food offerings in Tibetan Buddhist and Bonpo ceremonies. It has a faux coral set into the centre of it. 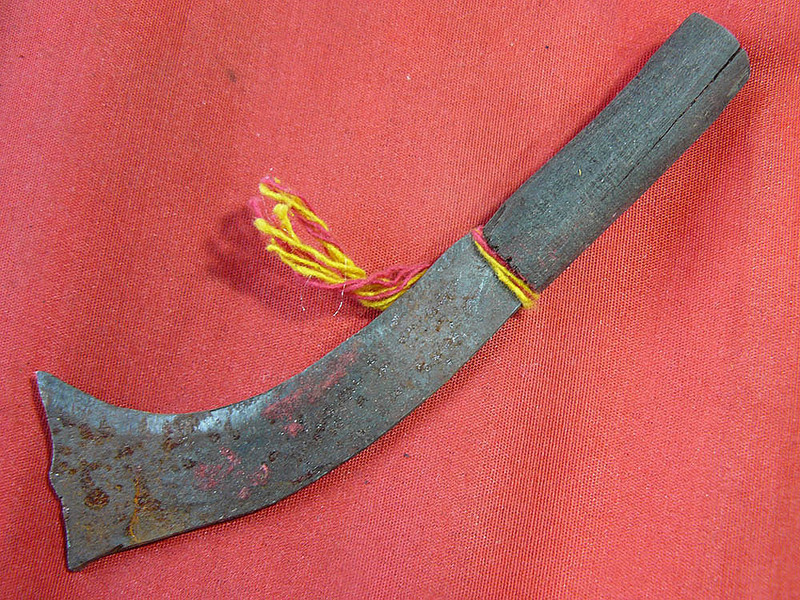 A ritual white metal tSog spoon, used for ritual food offerings in Tibetan Buddhist and Bonpo ceremonies. It has a faux turquoise set into the centre of it. A ritual bronze offering spoon, used for pouring oil onto small ritual fires in ceremonies. It could be used as a ritual spoon for shamanic use.